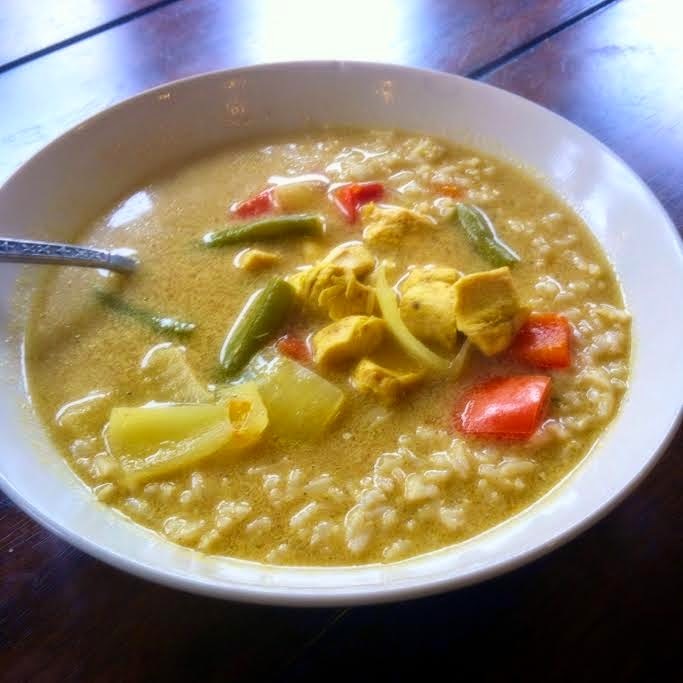 In an effort to do more cooking at home (and eat healthier meals) I worked on an easy crock pot recipe this past week: Chicken Curry. 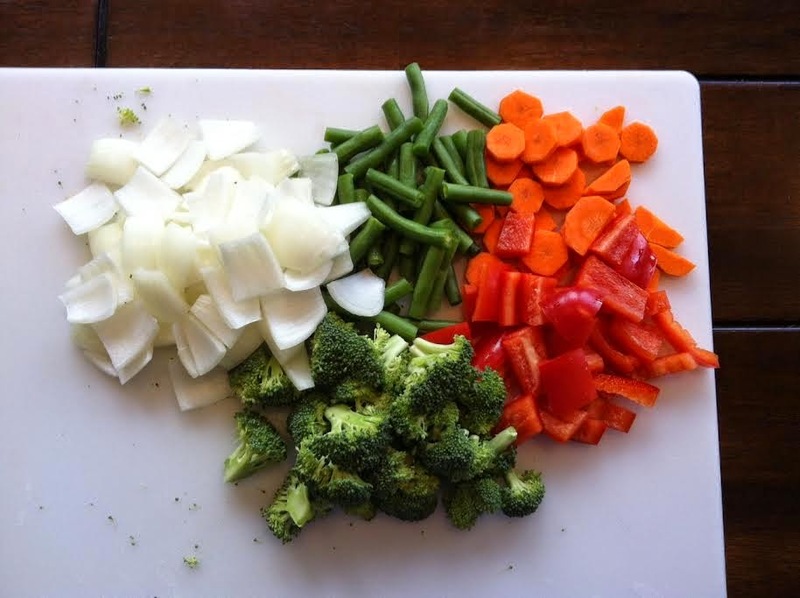 I also added red peppers and broccoli to mine and increased some of the veggie amounts since I love lots of vegetables in my meals. 1. 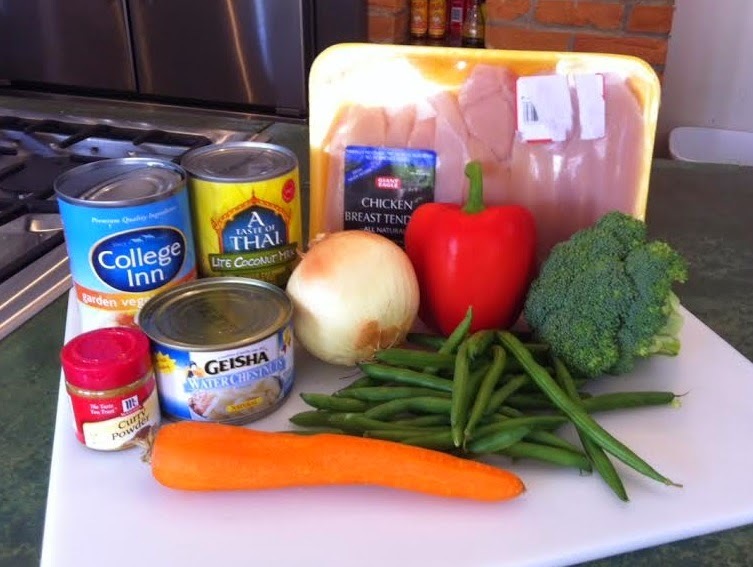 In a 3-1/2- or 4-quart slow cooker, combine chicken and chopped vegetables. 3. Cover and cook on low-heat setting for 5 to 6 hours or on high-heat setting for 2 1/2 to 3 hours. **I made mine over the day last Tuesday, so I cooked on low for 6 hours. 5. Spoon rice (already cooked separately) into bowls, and ladle curry over the top. I plated this dish 2 different ways - on a plate over rice as an entree, and in a bowl as more of a soup dish. 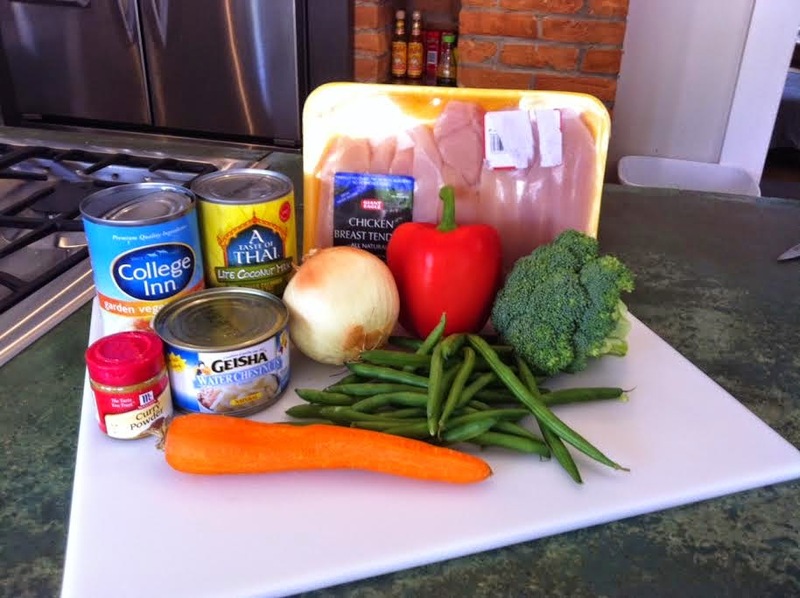 This has some great flavors and was super easy - so I will definitely be making it again. Maybe next time I will make a few tweaks...if I'm feeling creative! I'm not the biggest fan of Curry but my husband is so I might have to try this for his sake lol! I absolutely looove curry! And i really do not get enough use out of my crock pot, so I need to try one out! This looks so delicious! 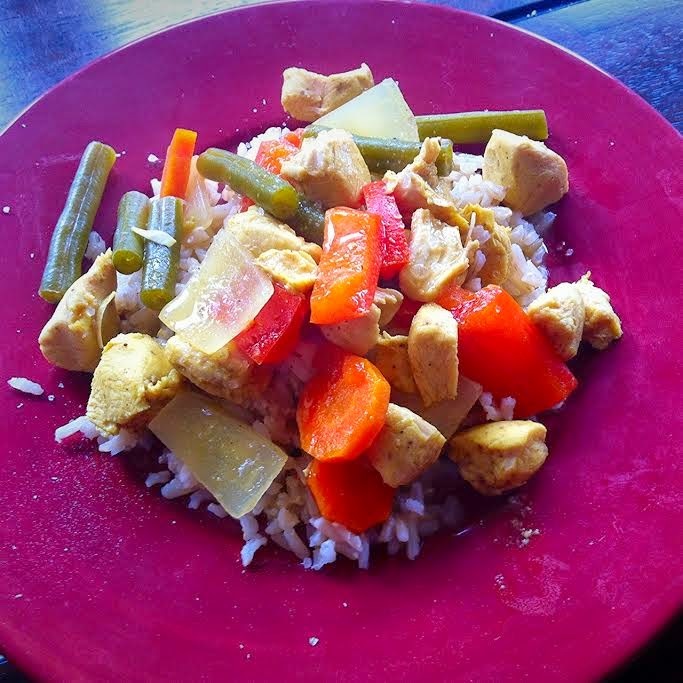 I'm not the biggest curry fan, but I've been giving it a try more often-- and I always prefer fresh vegetables too! I made a dish earlier this week that called for frozen and I think it was the one downside of the whole meal! Yum! 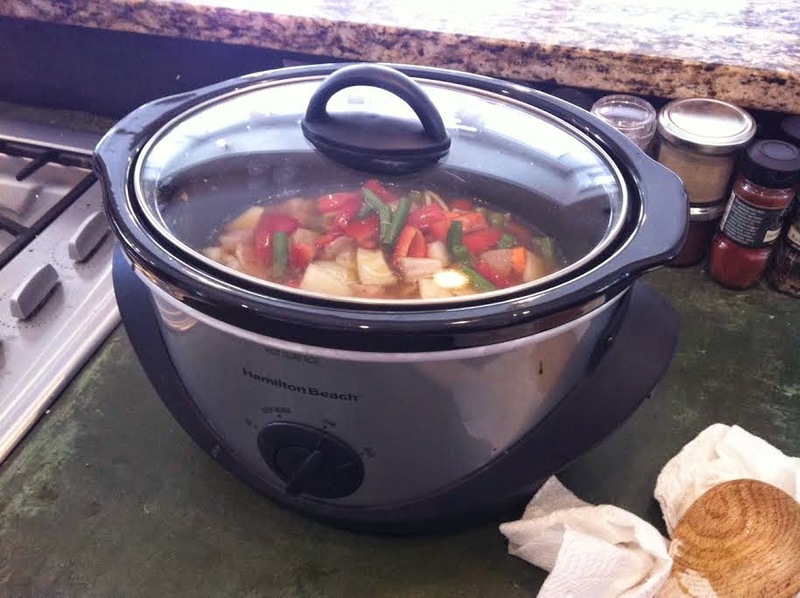 I can never resist an easy crockpot recipe, and I love that you have an option to make this dish two different ways. Thanks for sharing! this looks delicious! i am all about easy and wish i used my crockpot more. yum!